Welcome to Prom Packages where we offer absolutely everything for your Prom! Mom and Dad would be delighted to know that we are listed with the Consumer Affairs Department and Licensed For Hire in Nassau County Long Island, New York. We are also registered with the Westchester Taxi and Limousine Commission in Westchester, NY. We are a Board Member on the Nassau Suffolk Limousine Association, a member of the Long Island Conservation and Visitors Bureau and the Greater New York Chamber of Commerce. Unlike most of our competitors; we are NY DOT Inspected on all of our Larger Seating Capacity Stretch SUV’S and Limo Party Buses. We carry the proper amount of Insurance for Transportation and a separate Commercial Liability Policy. All of our Drivers/Chauffeurs are licensed and have been background checked; drug tested, and has completed a classroom instructed certification defense driving course from a driving instructor representing the National Safety Council. You know that when you inquire about a Prom Limo Package with Metro Limousine Service you are getting the very best of quality at competitive licensed pricing. 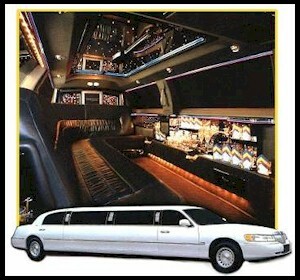 © 1997- Metro Limousine Service - All rights reserved.